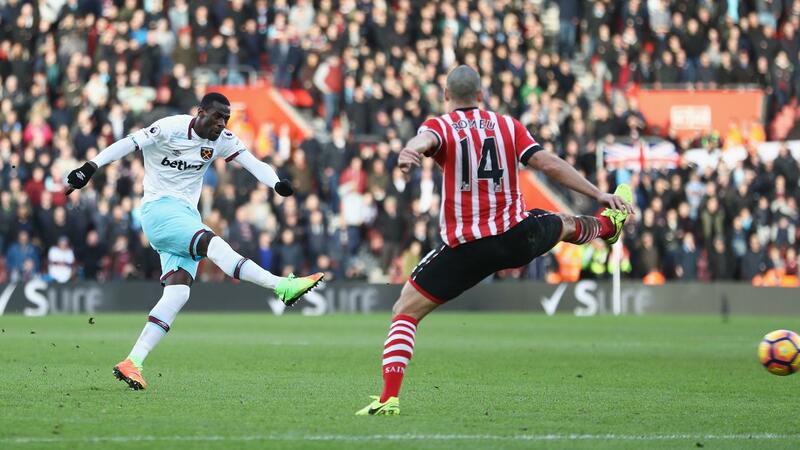 A first goal of the season from Pedro Obiang (£4.4m) helped West Ham United clinch three points at Southampton, with the midfielder claiming three Fantasy Premier League bonus points. Obiang also provided an assist in the 3-1 victory at St Mary's Stadium, guiding him to a Bonus Points System (BPS) score of 52. The midfielder also benefitted from making seven recoveries and winning three tackles. A BPS tally of 29 fired Mark Noble (£6.2m) to two bonus points. The West Ham captain struck a third goal of the season and made 11 recoveries, also completing 86% of 51 passes. 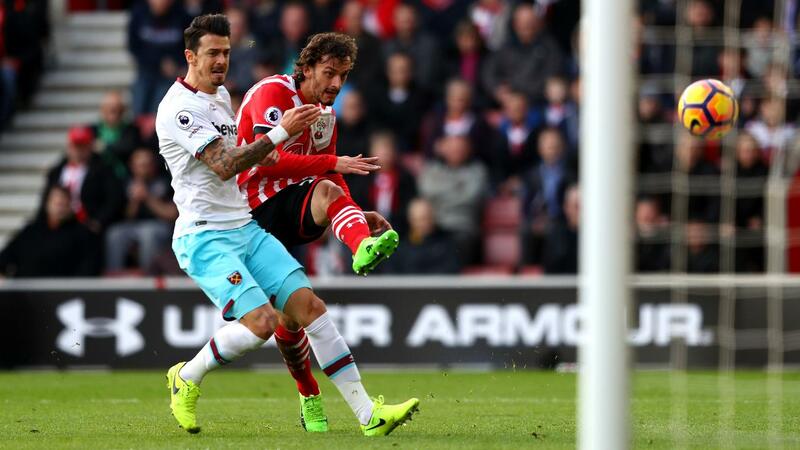 Southampton's Manolo Gabbiadini (£6.5m) collected the final bonus point on offer following a goal on his debut. The Italian registered two key passes, though also had three efforts off target and committed two fouls, resulting in a reduced BPS tally of 27. Although he failed to produce attacking points, it was Southampton’s James Ward-Prowse (£5.0m) who topped the ICT Index with a score of 12.9. The midfielder recorded 54 for Creativity – the top score in Saturday's contest – having supplied four successful crosses and created three chances. Gabbiadini ran his team-mate close, tallying 12.5 in the Index in an encouraging first start. Deployed as the Saints' lone striker he finished with the top Threat score (69), after recording six goal attempts from within the West Ham penalty area. With his fourth goal in as many Gameweeks, Andy Carroll (£6.3m) continues to build a case for inclusion in FPL squads. The Hammers' target man is owned by only 4.8% of FPL managers, but his fitness continues to be managed with the striker withdrawn before the hour-mark with concerns over a groin problem. West Ham are one of only six teams guaranteed to play in Gameweek 28, with the FA Cup quarter-finals scheduled for that weekend - both they and opponents AFC Bournemouth have been knocked out of the competition. Robert Snodgrass (£5.7m), who registered an assist on his first start for Slaven Bilic's side, is set to earn attention with Gameweek 28 in mind. The midfielder assumed responsibilities at corners and is set to be a key figure on direct free-kicks, though is likely to surrender penalties to Noble. Snodgrass is already the sixth most transferred-in player ahead of Gameweek 25, with 41,000+ managers snapping him up prior to a home encounter with West Bromwich Albion. While Southampton have now lost six of their last seven Premier League matches, the performance of debutant Gabbiadini was a positive for FPL managers. Gabbiadini provided a focal point for the Saints' attack and could emerge as a potential FPL target. However, Southampton face trips to Sunderland and Watford in their next two fixtures and will miss Gameweek 26 due to their date with Manchester United in the EFL Cup final.